Kingdom Karnage will include Enjin Coin Blockchain Technology. 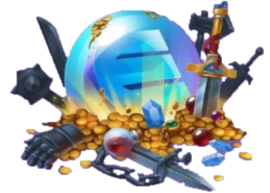 Many items in Kingdom Karnage will be backed by Enjin Coin (ENJ) . Meaning every item uncommon or rarer you acquire within the game will be backed by a real value you can extract from the game and spend elsewhere. All items will show in your Enjin Wallet. Items can be traded in-game or via market places. Through the power of the blockchain you will be able to trade items with other players in-game or via your Enjin Wallet. Additionally you will be able to rent out cards to other players for a fixed amount of time, after which the item will automatically be returned. Earn money playing Kingdom Karnage. Play, collect and melt items you don't want to keep and receive their backed value (ENJ) straight to your Enjin Wallet. Kingdom Karnage and multiple other games adopting Enjin Coin Technology are linked creating the Enjin Multiverse. Consider Kingdom Karnage one universe amid a multiverse of games. Within this unprecedented multiverse of games, there are multiverse items. Each item appears in multiple games across the Enjin Multiverse. Acquiring a multiverse item in one game will unlock it in other multiverse games, even if you have not played those other games yet. 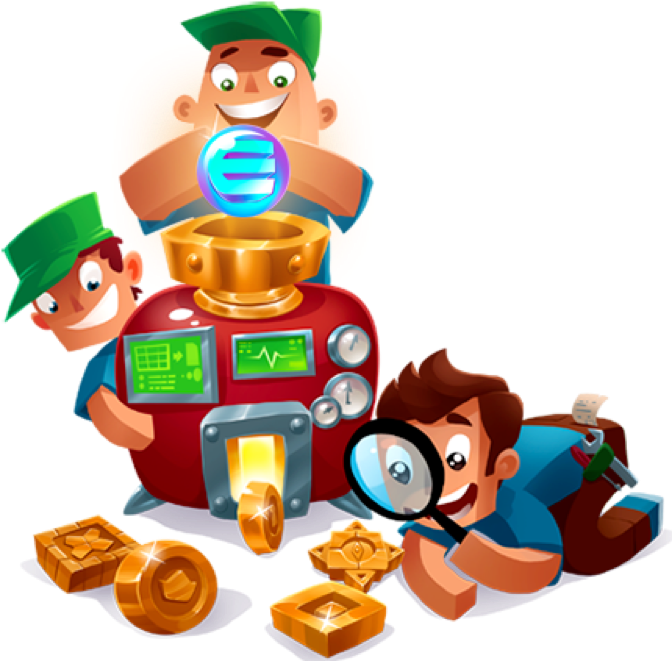 The backed value is how much Enjin Coin (ENJ) you get should you melt an item, you may trade them for any price you set. At Kingdom Karnage we plan to share rarity statistics. So you will for example be able to see how many level 6 cards of any given type are in circulation and set your trade prices accordingly.. 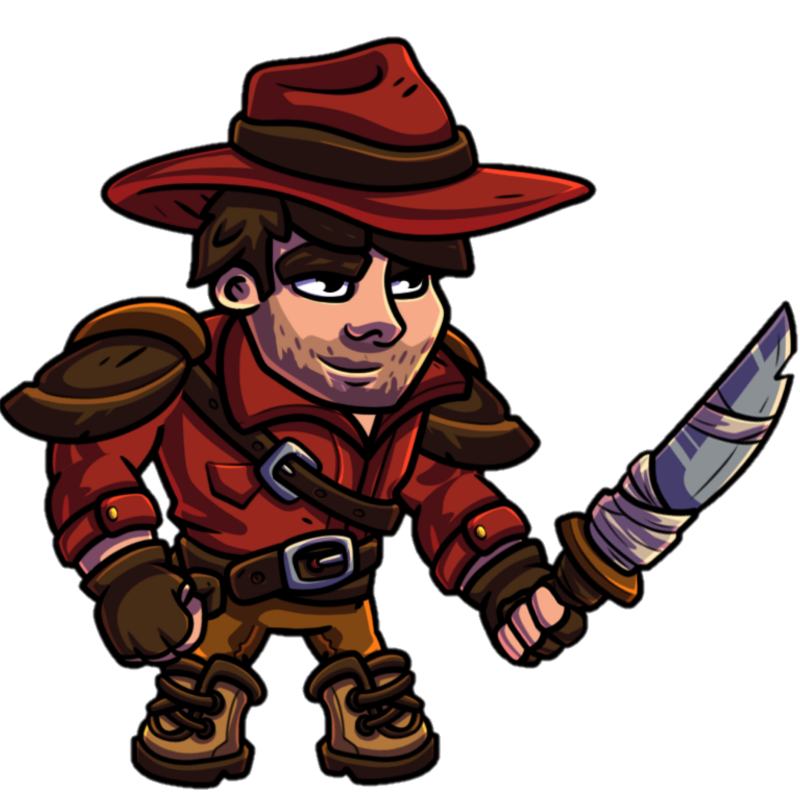 If you would like to try Kingdom Karnage, play the Web Demo now or download the APK.  Please remember to let us know what you think on our Kingdom Karnage Telelgram Channel. In the run up to launch day we will be giving away items and packs as you the players meet community goals. Essentially the more people joining the Kingdom Karnage Telelgram Channel the more items we will give you. The first item we will be giving away is our Multiverse Founders Token - aka - "Pioneer".  This token will yield you our founding community, perpetual rewards some of which will be limited edition. The Pioneer is also a limited edition character so hold on to your MFT.  The first 1,000 members in the Kingdom Karnage Telelgram Channel will receive the MFT. 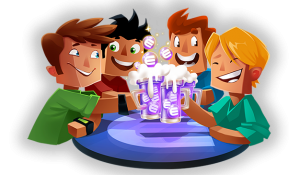 Multiple games from the Enjin Multiverse will have their own Founders Tokens and we will honor all owners of an MFT with an exclusive starter pack. Those of you familiar with the Multiverse Items will by now be eager to acquire some. Stay tuned for more details on how you can get them here. Why upgrading cards is the key to victory. In Kingdom Karnage all cards that you acquire start at level 1. Identical cards (same unit and same level) can be combined to create the next level of that card. The higher you level a card the more powerful it becomes, increasing the characters attack power, hitpoints, ability power and even sometimes adding new abilities. It takes two level 1 cards to make one level 2 card. Two level 2 cards to make one level 3 card, two level 3 cards to make one level 4 card, and so on. When you combine 2 cards, the new card will have a higher Enjin Coin (ENJ) value of the 2 cards combined. For eg, if you combine Card A which has a melt value of 4 ENJ with Card B which has a melt value of 4 ENJ the new card created will have a melt value of 5-8 ENJ. Epic and Legendary used to mean something, they used to be hard to come by and a symbol of excellence. However over the years countless games have given in to the masses and rewarded everyone with everything for doing nothing. That won't be the case here. We will bring back the true meaning of Legendary. Legendary items will be so rare there will actually be a limited number of them, whether obtained through events, dungeons, raids, or pvp rankings, once the alloted number have been acquired by players they will no longer be available other than by purchasing them from other players. Due to the true scarcity of these items, upgrading these cards would be impossible. To keep these fantastic cards viable for game decks, you will be able to collect "Tokens" - yet to be named, which can be combined with any Legendary card to upgrade it. In addition Epic items whether obtained through events, dungeons, raids, or pvp rankings will be difficult to get. Epic items will not be available for purchase from the shop, however they will be tradeable between players. Which platforms will Kingdom Karnage be available on. Kingdom Karnage will be available on multiple platforms, with cross platform servers, which means you will be able to continue playing from any supported device. At launch we will release on Browser, Android and iOS.